If you are like me, you like to make backup copies of your DVDs in order to make sure nothing happens to the originals. Unfortunately a lot of the DVD copying software that is available is buggy or doesn’t make copies of most DVDs. I have many different pieces of software and none of them are perfect however I have found one piece of software that is close, 123CopyDVD. I have been using this software for a few months now and haven’t had any problems. 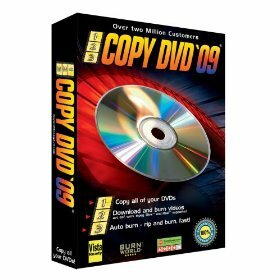 So if you are looking for a great program to copy DVD’s, give 123CopyDVD a try.